Can clients disable the cover letter portion? I have applied to 2 jobs already where there are no boxes to put the cover letter. Is this a feature or a bug? I have been here for a long time and this is the first time this happened to me. oDesk said they are implementing something where instead of asking for a cover letter, the job post can have questions the freelancer has to answer. I have witnessed both. One where NOTHING was available for me to write in. Another where only two irrelevant questions were asked. I really dislike it and frankly, I'm disregarding them. Hi everyone, We wanted to update you on some changes that have been made to this new feature. We're still testing so not all freelancers will see the new options, but starting this Wednesday, we are changing how the job application will look. Clients now have the option to ask for a cover letter, customized questions or both. We require the client to have at least one custom question if they do not require cover letter. Thus, a freelancer will have a minimum of one input box which is either the cover letter or a question as per the client’s requirement. There can, of course, be more input boxes where the client can have up to five questions and a cover letter. We are still testing this feature, so many of you will not see it implemented right away. Hope this clarifies things! I have facing same problem. 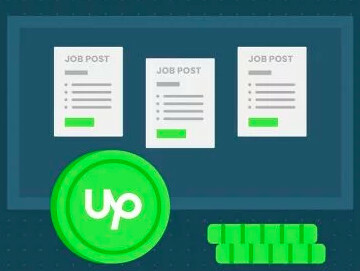 May be there is cover letter option on upwork anymore. A client can choose to require a cover letter or not. 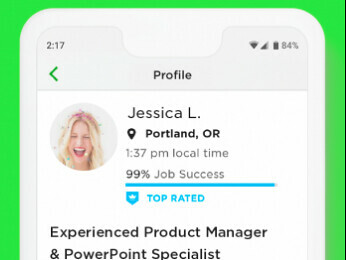 It is still available on Upwork but you can come across a posting that doesn't ask you to submit a cover letter. I've posted job applications without covers. If I'm hiring artists, for example, I don't really want to read what they have to say; I just want to look at portfolios. I also hire people without doing interviews. Excuse me, I'm new ot this entire scene. But isn't there the issue of them copying someone else's work? 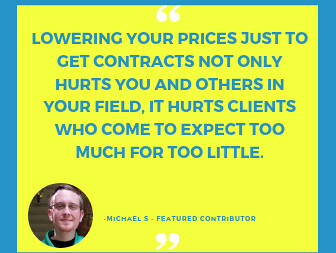 Are you not concerned about hiring the "wrong" freelancer? Am I worried about hiring the wrong freelancer? No, because if they are wrong for the job I can simply close the contract and get someone else. It's not like I am having them relocate to my town to start a new job. I'm hiring them to create a logo or do some css design or something. Interviewing them is not going to tell me much. Either they do good work or they don't. I don't try to analyze a contractor's portfolio to determine if they stole the work from somebody else. If I like their style and hire them and they don't produce the same quality of work for me, then I can close the contract. If I use hourly contracts I don't have to worry about whether I give them a chance to finish or whatnot. I'm paying them for their time. If after 30 minutes or an hour or a day or a week, if I don't like what I am getting, I can close the contract. They have been paid for their time. We can both move on. I do not need to explain or justify why I am closing the contract. In practice, I have not found it necessary to close contracts before work is finished, but I could if I need to, so the answer is no, I am not worried about hiring the "wrong" contractor.